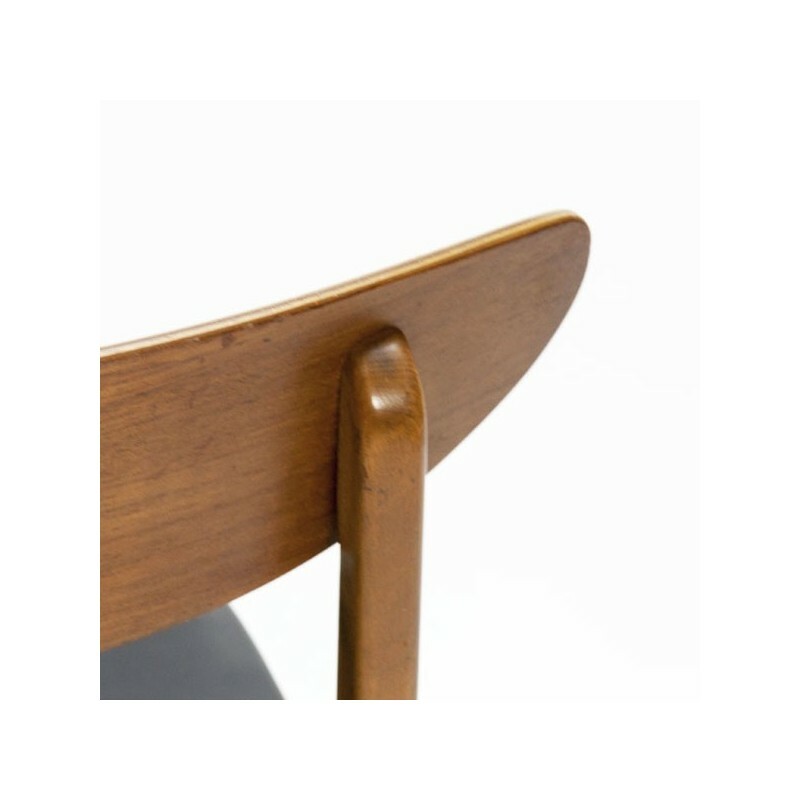 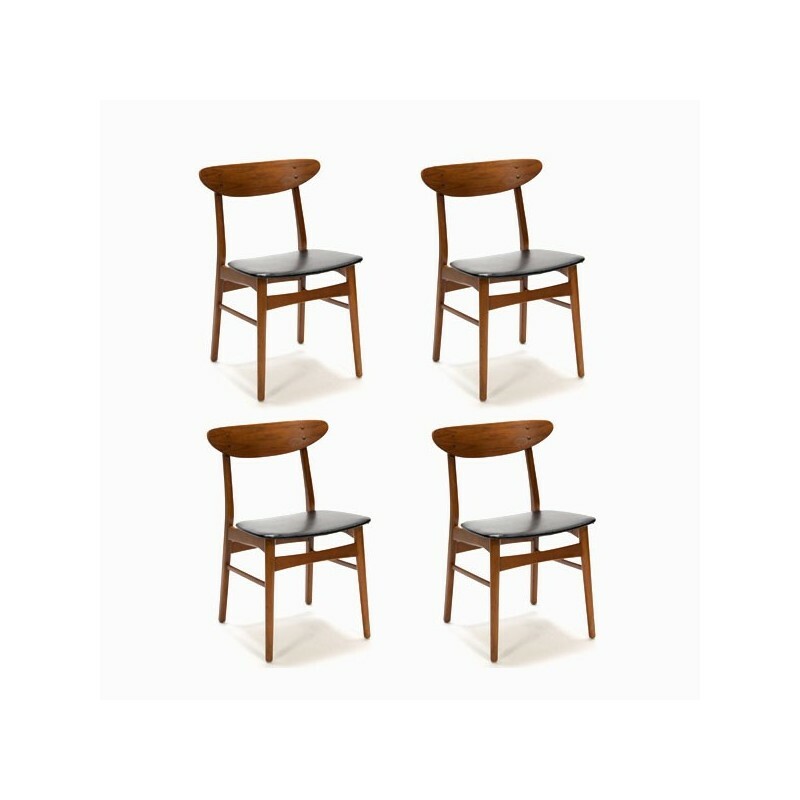 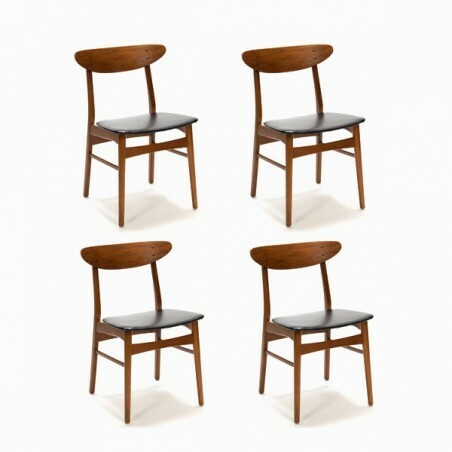 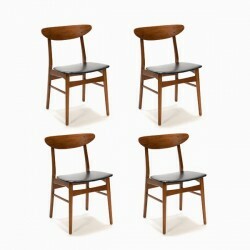 Set of 6 chairs from Denmark manufactured in the Farstrup furniture factory produced in the 60 years. 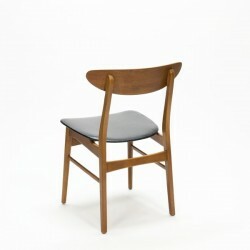 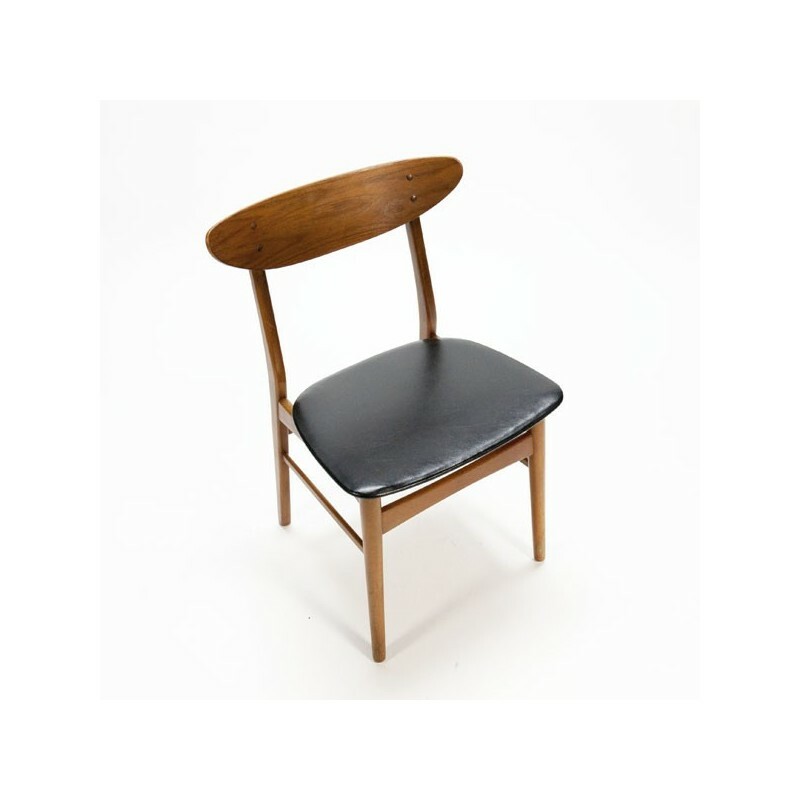 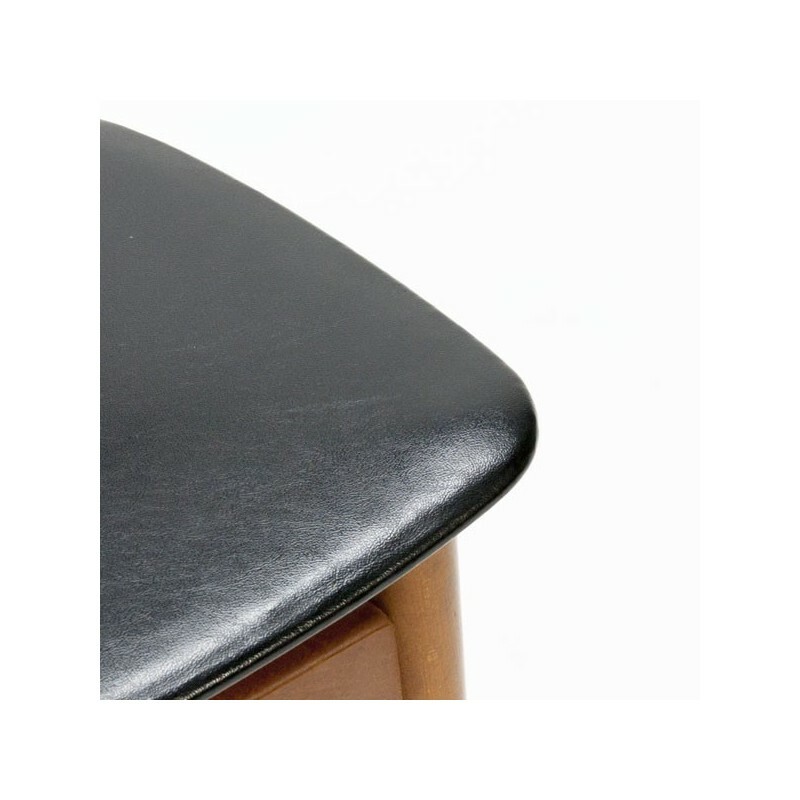 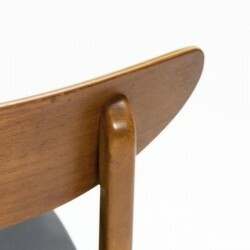 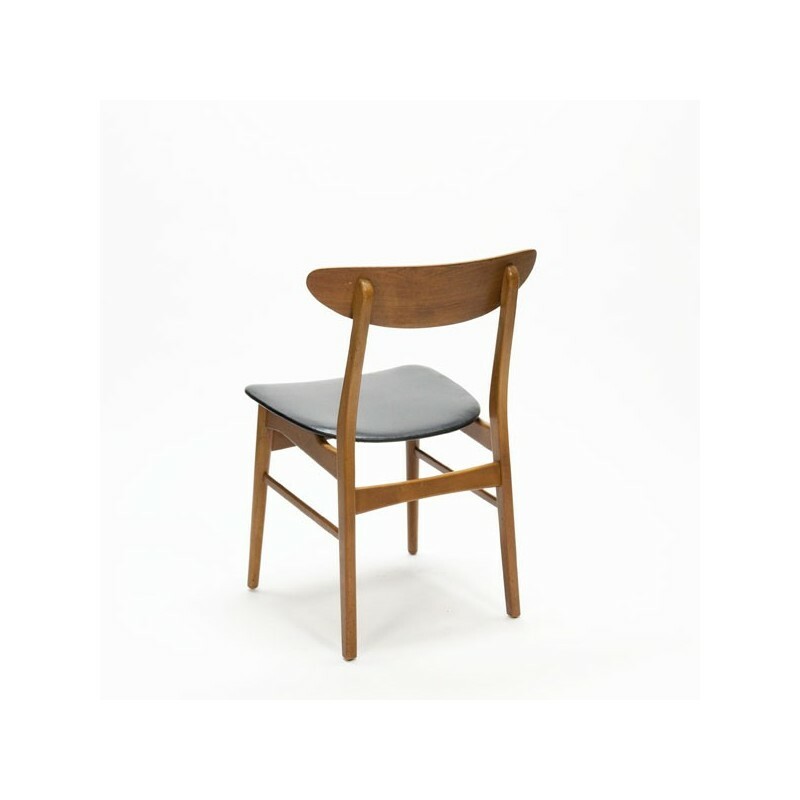 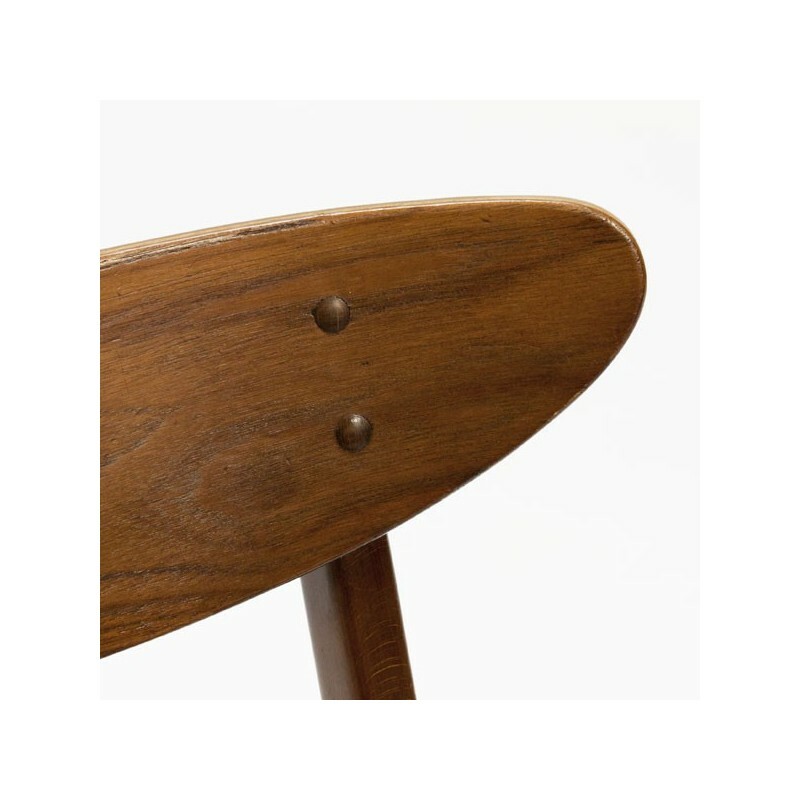 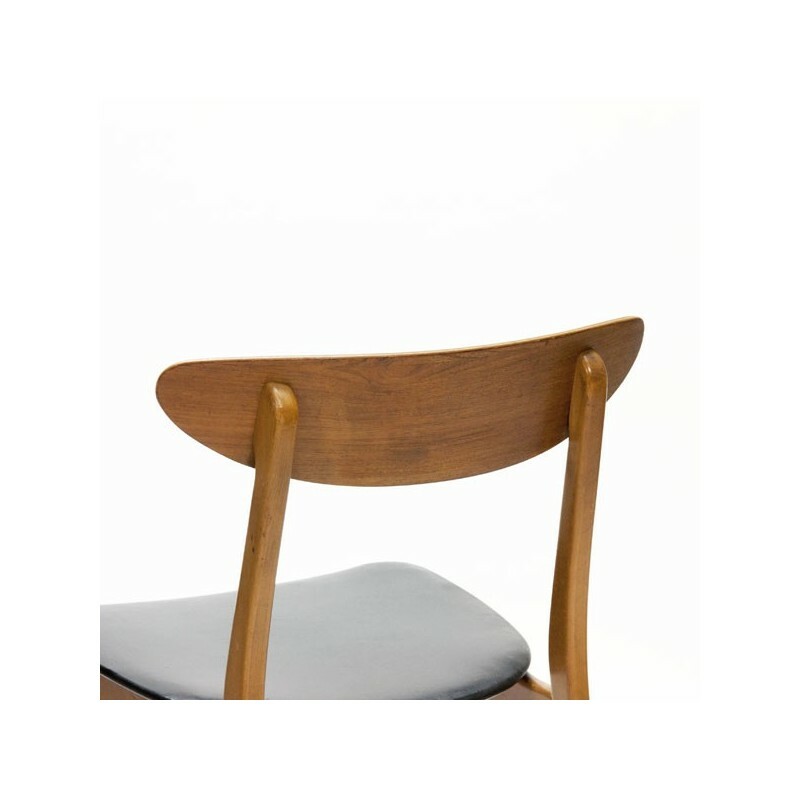 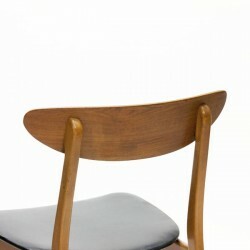 The chairs, model 210, are made in teak and have a black leatherette upholstery. 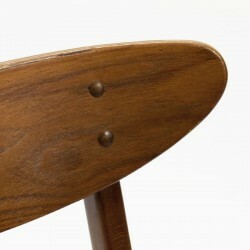 The chairs are in good condition given their age, see detailed pictures. 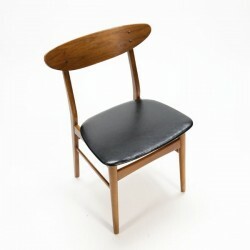 The size is 77,5 cm H/ 46 cm SH/ 46 cm W.